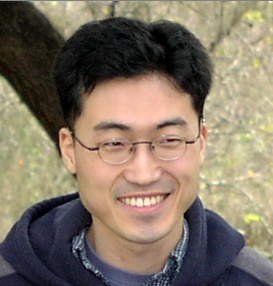 I am an associate professor in the School of Computer Science and Engineering at Chung-Ang University, Seoul, Korea. Prior to joining Chung-Ang Univ., I was a full-time lecturer(full-time faculty) in the Department of Computer Engineering at Kyungpook National University, Daegu, Korea from March 2006 to Feb. 2008. I also worked as a postdoctoral scholar (advisor : Prof. Taylor) in the Department of Bioengineering at Stanford University from Sep. 2005 to Feb. 2006. I received the M.S. and Ph.D. degrees (advisor : Prof. Bajaj) in Computer Sciences from the University of Texas at Austin, in 2001 and 2005 respectively. I was a member of Computational Visualization Center (CVC), Institute for Computational Engineering and Sciences (ICES) at UT during my graduate study. I received the B.S. degree in Computer Science from Seoul National University, Seoul, Korea in 1999. My main research interests are in Computer Graphics and Computational Bioengineering. I am particularly interested in multi-scale visualization, geometric modeling (mesh generation), and image processing from 3D/4D volumetric imaging data with emphases on bio-molecular and medical applications. Proceedings of International Conference on Computational Sciences (ICCS), pages 350-357, 2007. Proceedings of IEEE/SIGGRAPH Symposium on Volume Visualization and Graphics, pages 89-96, 2002. Computer Methods in Applied Mechanics and Engineering (CMAME) [SCI], Volume 194, Issues 48-49, pages 5083-5106, 2005.